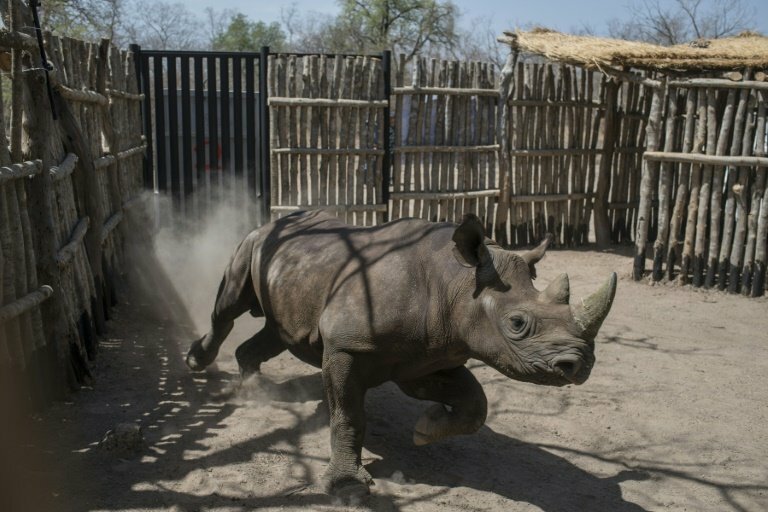 Two of six critically endangered black rhinos have died of unknown causes five months after being flown from South Africa to Chad in a pioneering project to re-introduce the animals, officials said Sunday. Rhinos in Chad were wiped out by poaching nearly 50 years ago, and the six rhinos were intended to establish a new population in the country after intensive anti-poaching measures were put in place to protect them. "We can confirm that these two rhinos (a male and a female) were not poached," the South African environment department and Chad government said in a joint statement. "However, the exact cause of death is not yet known." In July, there was widespread outrage and a bitter row over responsibility when 11 black rhinos in Kenya died after being transferred to a new sanctuary, mainly due to toxic levels of salt in borehole drinking water. The rhinos in Chad had been roaming free in Zakouma National Park since late August after a gradual acclimatisation process that saw them first released into small enclosures. The carcasses of the cow and bull were discovered on October 15.